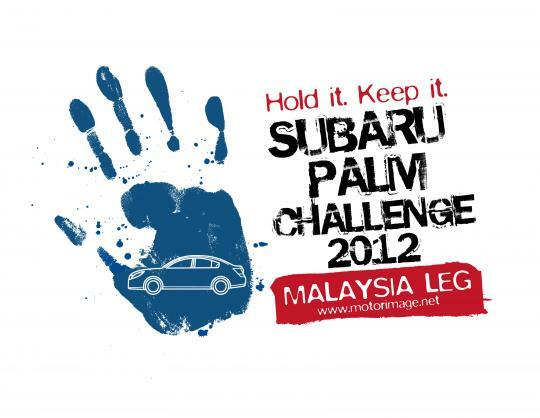 The Subaru Palm Challenge in Singapore has been around for as long as I can be bothered to remember and these days the contest includes a number of contestants from Asia. This is mainly because Motor Image, official distributors of Subaru in Singapore is also the official distributor throughout this region. Anyway, over in The Curve, Petaling Jaya, Malaysia, hundreds were present to witness and support 62 of Malaysia�s bravest and fittest individuals (who in my opinion must have taken leave from whatever they usually do on a saturday to suffer) take part in the Subaru Palm Challenge 2012 � Malaysia leg recently. Throughout the nine and a half hour endurance challenge participants were required to place their right palm firmly on the lot drawn while completing all seven elimination rounds. This is so that the event does not go on for more than a day unlike the original event which would last for days. One by one, the remaining participants gave up and after nine and a half grueling hours standing under the hot sun and rain, the last 10 standing had much to celebrate as this would be their ticket to Asian Face Off. The 10 Malaysian finalists will compete against 310 contestants from the Lion City and 80 other challengers from across the region to win a brand new Subaru car. 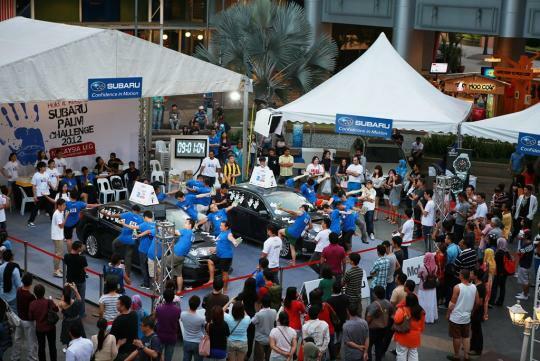 Last year's grand winner Mr Chong Kiat Chi of Singapore lasted 75 hours 36 minutes and was handed a Subaru WRX for his effort. The 10 Malaysian leg winners received an all-expense paid trip to the Lion City from the 26th � 31st of October for the finals, a watch worth up to RM1,600 sponsored by Orient and Subaru merchandise which included a t-shirt, cap and toiletries bag, amongst other premium items. Of course, all of the goodies stated above would also include body ache, cramps, other psychical pain and some mental anguish as well as beating other people. The things some people would do for a free car.